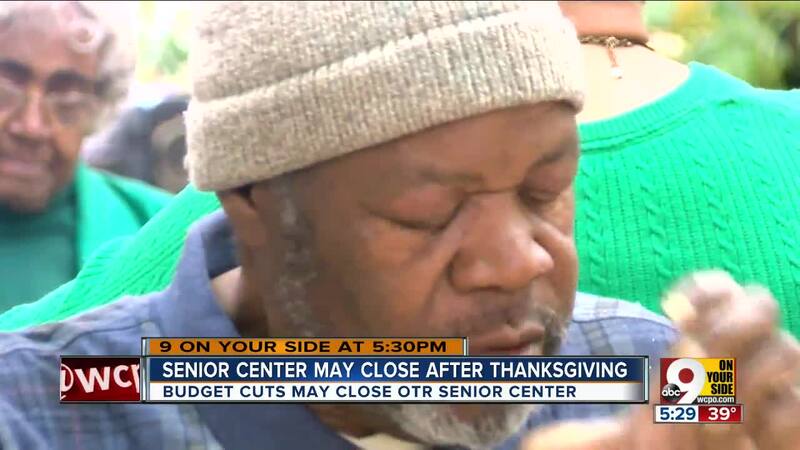 Residentd are upset because a lack of funding is threatening to close the Over-the-Rhine Senior Center. Funding dropped from $137,000 in 2007 to zero. A meeting is scheduled atg City Hall next week. CINCINNATI -- The Over-the-Rhine Senior Center helped Deidre Stillwell find healing and community at a time she thought there was none left, she said Friday. "It's a blessing coming here," she said. "My husband died and I was just lost, and now I have another family." Without outside help, however, that community could end for good Nov. 24. A decade of steady funding cuts to the 30-year-old Race Street senior center has finally pared it down to bones, Cincinnati Area Senior Services CEO Tracey Collins said. The center received $132,000 in funding from the city of Cincinnati in 2007, according to Collins. That number dropped to $67,000 in 2010, then plummeted to $19,000 in 2015. The following two years, the center received nothing at all. United Way's 2017 decision to halve the funding it provided hurt even more. "When I walked in yesterday after hearing the news, I did lose it," Community Shares of Greater Cincinnati CEO Michelle Dillingham said. "I was very emotional. ... Because of funding cuts that are completely avoidable, the whole community is being torn apart." According to Dilingham, whose time since learning of the center's closure has been spent petitioning city officials to keep it open, community services in Cincinnati are disproportionately dependent on philanthropy, fundraising grants and government money gained through block grants and levies. When those sources fail, organizations like the senior center fold. People who depend on them for socializing, activities and food risk being left behind. "For some of these folks, it's the only two warm meals they get in a day," she said. "For some, it's the only community they have." Dillingham's pleas secured the attention of City Council members P.G. Sittenfeld and Tamaya Dennard on Twitter . On Friday, she said they were planning an emergency meeting of the council to discuss it. If the center does close, Cincinnati Area Senior Services will provide buses to Church of Our Savior in Mount Auburn, where they will still be able to find meals and senior-oriented programming. However, frequent visitor Wendell Russell said he believes the Over-the-Rhine Senior Center is special. The community he, Stillwell and others found there might not be replicable anywhere else. "We're seniors," he said. "We don't want to be shuffled here and there. It's a good spot for Over-the-Rhine, and I hope and pray that we continue to keep this place open."